Occasionally, you may want your Heatmap screenshot to suppress or exclude specific elements on your page, like a pop-up which automatically loads when a new user lands on your page. You can exclude it from your screenshot by following the steps below. To learn more, you can refer to Suppressing Text in Heatmaps. Find the elements you want to hide from your Heatmap. You will need to locate the CSS selectors of the elements you wish to exclude. To do this, you can use Chrome and right-click on the elements you want to hide in the screenshot. Then click on Inspect Element. With this method, we will exclude and ignore usage on the element you specify and all its "children". 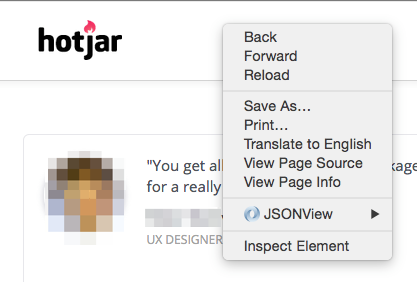 After clicking Inspect Element, the development panel will open and show you the element you have selected. Clicking the elements will highlight the part of the site allowing you to determine the exact element you want to exclude. 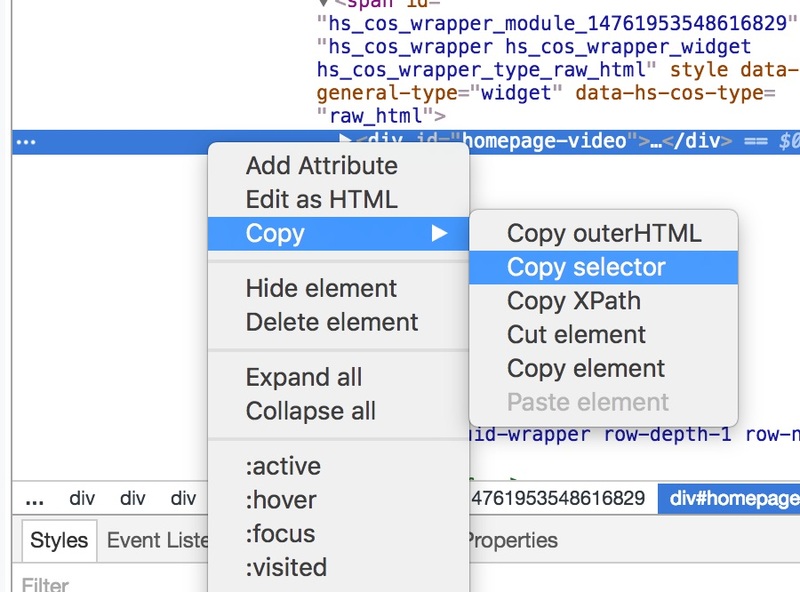 Right-click on the element to click through Copy > Copy selector. Create a Heatmap with excluded elements. When creating a Heatmap, you can use our Exclude elements from Heatmap functionality. Paste the CSS selector you copied earlier into this field. You can also exclude multiple elements with a comma.